Next post: MYOG Part Deux: Luggage. 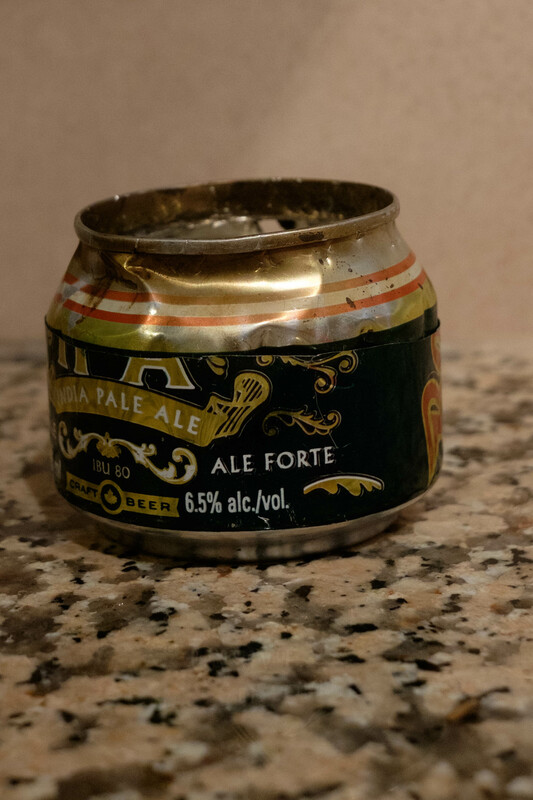 I’m generally using my beer can stove for solo applications and only boiling water with it. I’d say for that scenario it’s pretty fast to use as it gets setup/put away very quickly. Plus boiling a small volume of water doesn’t take very long. OTOH trying to feed a group from one of these stoves would be torturous and protracted. That said you could have two or more of these stoves going at once with minimal extra weight as long as each person has a metal cup/pot to heat water in. Since I made my first beer can stove I have not used any other type of stove human powered camping. If I am car camping I’ll bring a large 2 burner Coleman stove for some luxury. I have been giving away all my other canister and liquid fuel stoves as I don’t see myself using them again. I should not I don’t climb mountains to great altitude and I don’t winter camp. So ~10 deg C would be my coldest cooking scenario. Definitely accurate. I do use them for solo trips, and for shorter family trips. Also, you drink less coffee than I do.